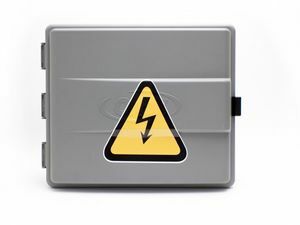 The Bush Baby 3 Junction Box is a great choice for covert recording of a shed, garage, or outdoor area.This device conceals a powerful camera with a viewing angle of 62 degrees. Like all BushBaby products, it is equipped with motion detection functionality and remote control operation. 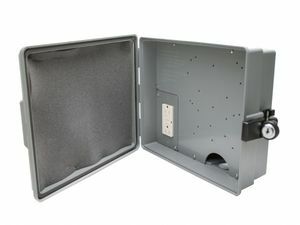 This junction box is weather resistant and even has plenty of space for normal electrical devices such as a sprinkler system control unit or outdoor lighting. Quality video. Records HD quality (1280 x 720) video. You can choose to either record continuously, or use the motion detection setting to only record the relevant movement. See our sample video below. Plenty of storage. Because this device accepts normal MicroSD cards, you can choose as much storage as you need and even replace MicroSD cards on the fly so you can review your video from one sd card while the device is busy recording to a new one. Not limited by battery life. Because this unit wires directly in to your home's electrical system*, you never need to worry about being limited by battery life.